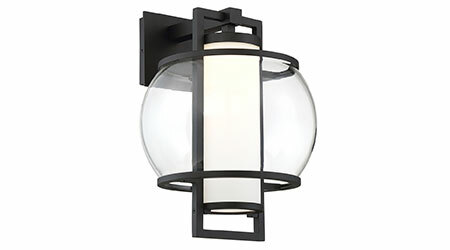 The Lucid Wall Sconce features an ETL and cETL wet-location listing and an IP65 rating. With a color temperature of 3,000K, the fixture features full-range dimming when used with compatible dimmers. Attached to 10 feet of wire, the pendant can be extended up to 120 inches and features three 12-inch downrods and one 6-inch downrod. Available in a 277 volt option, the fixture offers an 80,000 hour rated life.